WASHINGTON – President Donald Trump has ordered his Justice Department to ban rapid-fire bump stocks like the ones used in last year’s Las Vegas massacre– but officials aren’t sure they can. The path to a ban is neither simple nor quick. 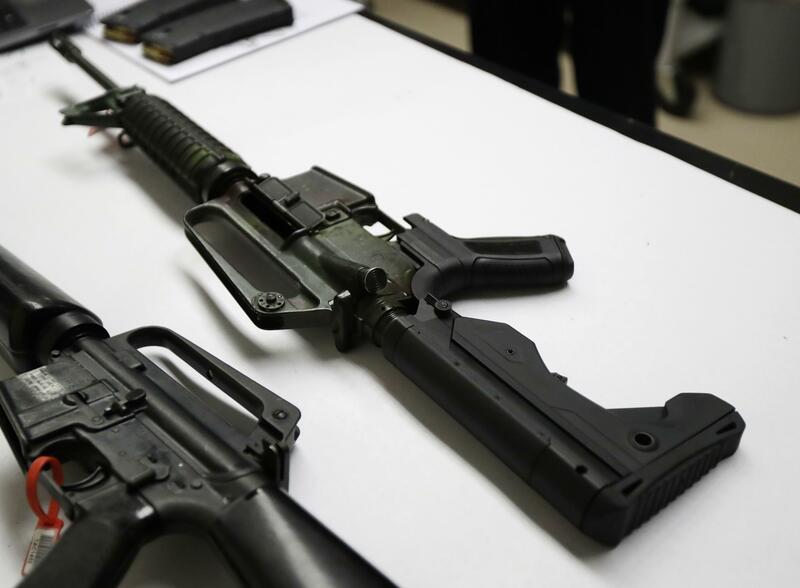 An ATF ban on the accessories, which allow semi-automatic rifles to mimic machine guns, would likely thrust the department into a prolonged legal battle with gun manufacturers while the devices remain on the market. But any congressional effort to create new gun control laws would need support from the pro-gun Republican majority. And Republicans have moved in the other direction, attempting to loosen gun laws, even after 59 people were killed in at the Pulse nightclub in Las Vegas. Published: Feb. 22, 2018, 8:53 a.m. Updated: Feb. 22, 2018, 9:41 a.m.